The Eheim 2006 is not only the smallest filter in Eheim’s Pickup line, it is also the smallest internal filter by Eheim. The petite size of the Eheim 2006, with its ability to reduce flow rate to a slow 50 litres per hour, makes it the perfect filter for a nano tank. We have been using the filter on our 6 litre betta tank and it has been great, being small enough to be hidden behind some Java fern and gentle enough in flow to not disturb our betta. 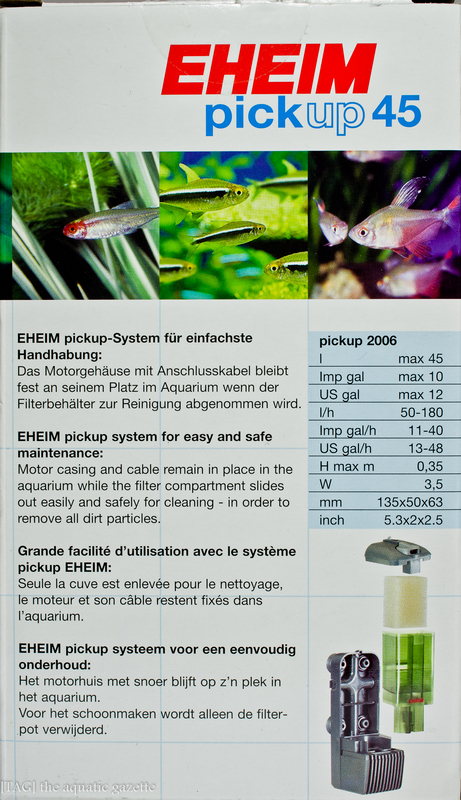 Eheim coined the name ‘pickup’ because the filter media and the body that houses it, can be picked up during maintenance without having to detach the suction cups from the aquarium. 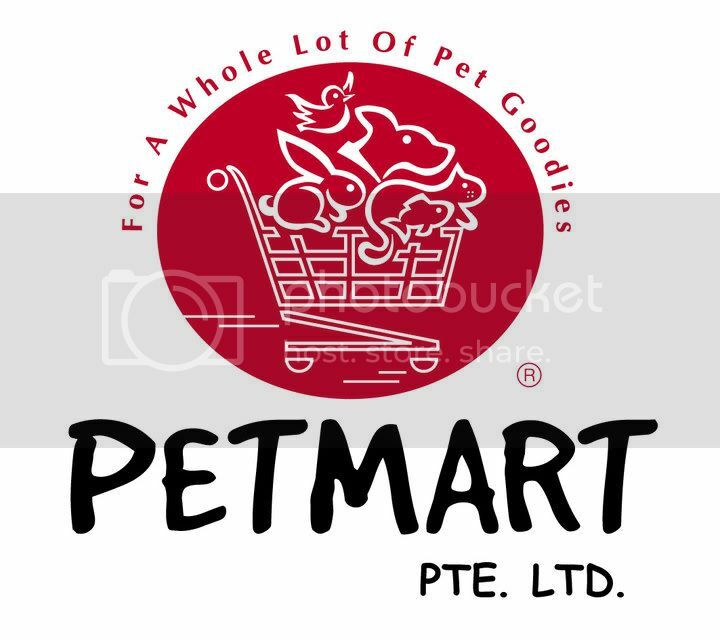 This allows for a trouble free and fast maintenance which takes about a minute or less. There is a sense of joy when holding such a small filter that has been designed and executed properly, in a quality manner. 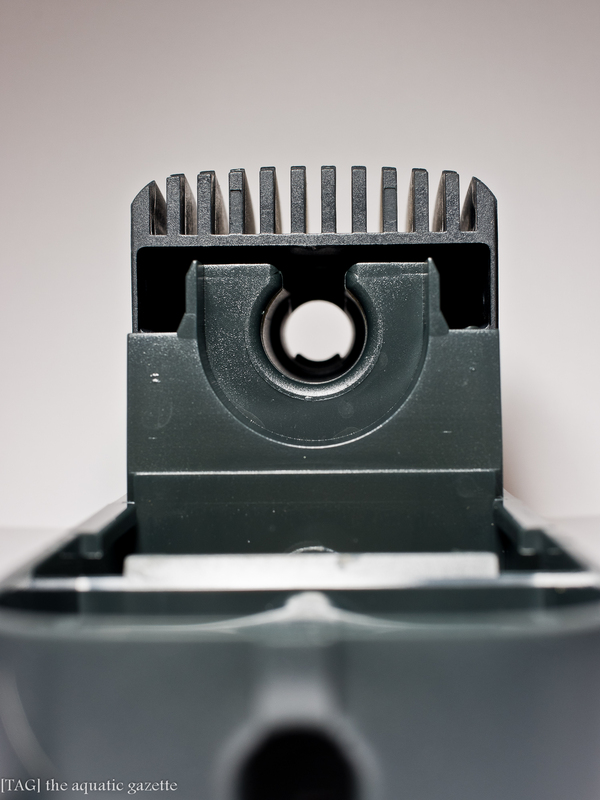 The Eheim 2006 is of the usual excellent build quality that Eheim is known for. All parts fit exactly and nicely, plastics are solid and without flex. 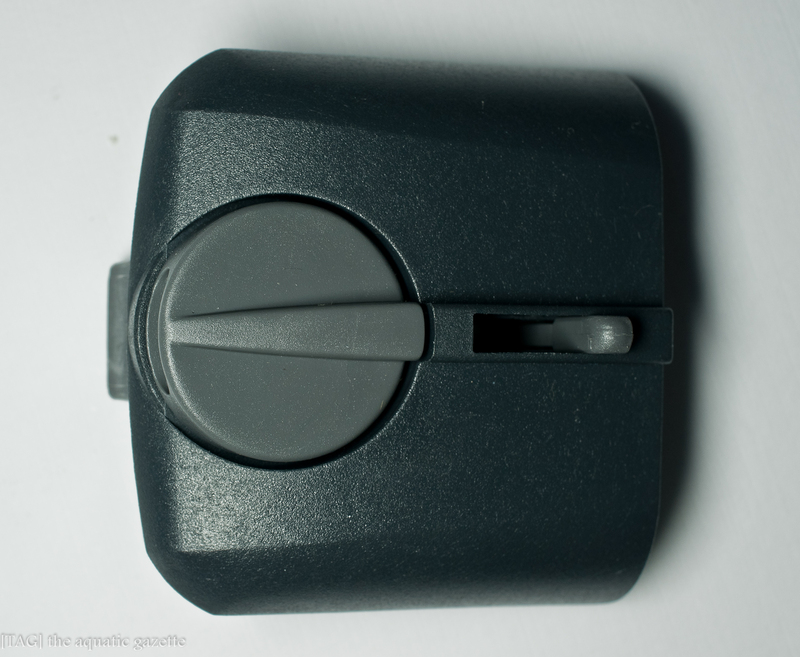 The flow switch at the filter head turns smoothly and the suction cups are strong. 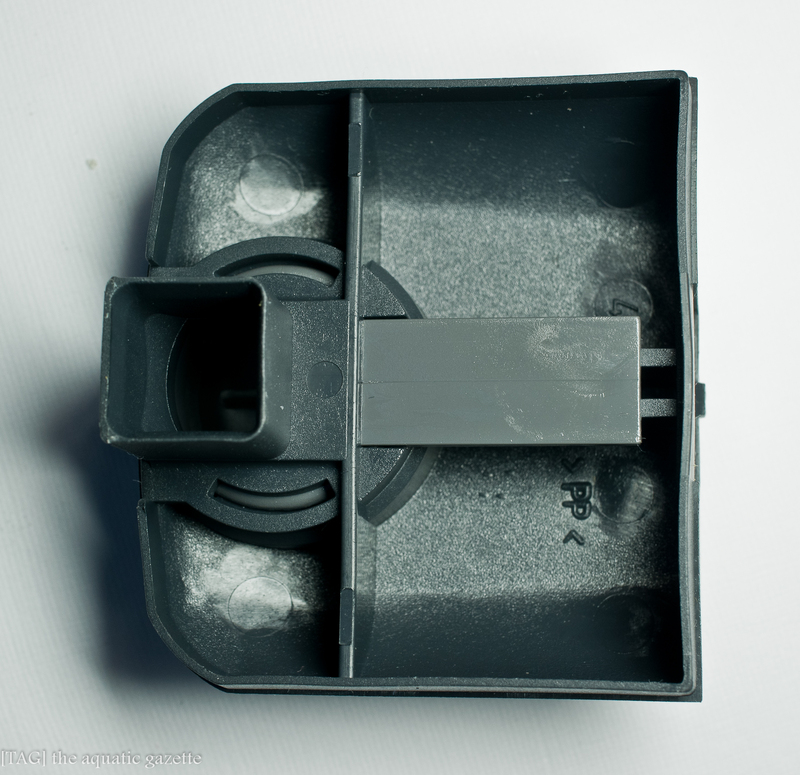 Overall, the Eheim 2006 is the standard that all nano internal filters should look up to. 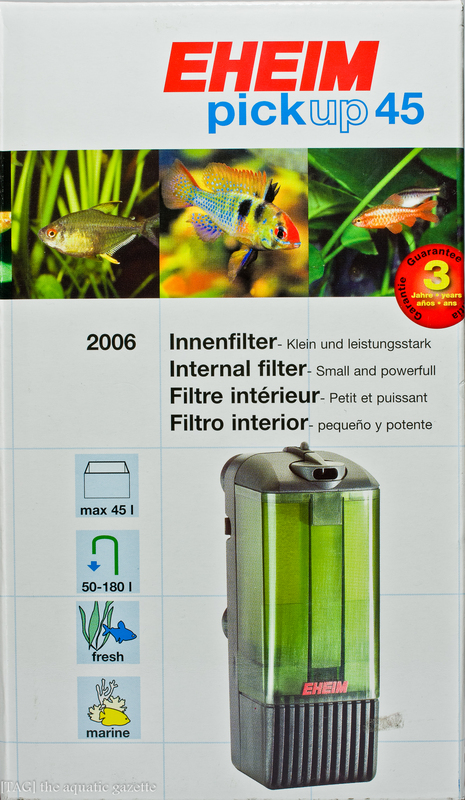 The vast majority of consumers that purchase the Eheim 2006 will have done so because their for an appropriate filter for their small tank. In a tank of this size, a successful internal filter will need to address three concerns, flow output, filtration media effectiveness and physical size. The filter head of the Eheim 2006 has a switch that allows for the adjustment of outflow from a range of 50 litres per hour to 180 litres per hour. 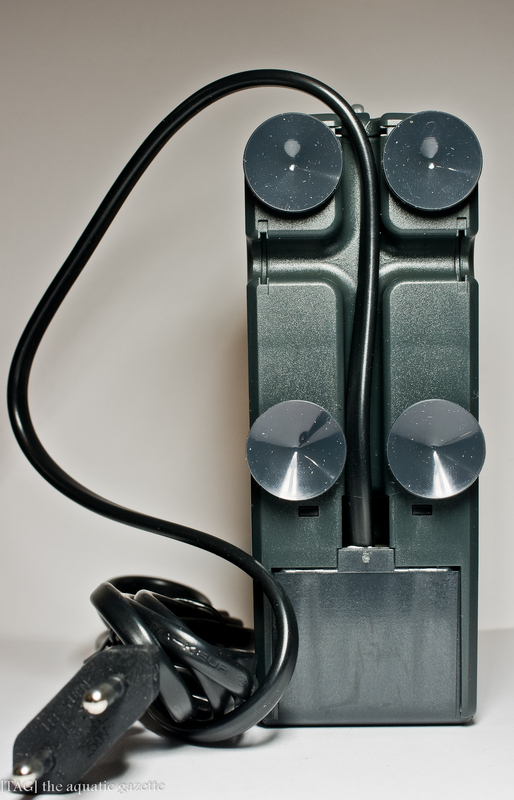 If 50 litres per hour is still too strong for the aquarium, the filter head can be turned to direct the outflow towards the side of the aquarium, weakening the flow further. 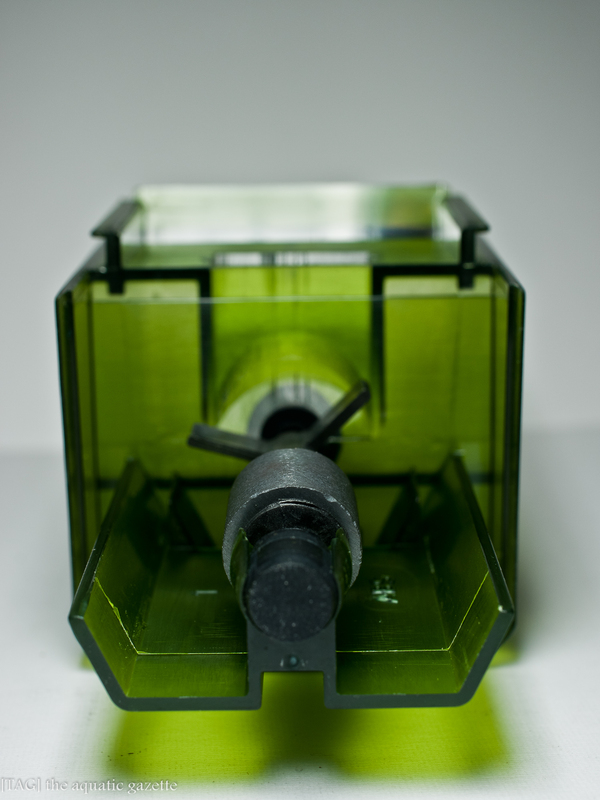 As an example of using the Eheim 2006 in a nano tank with a flow senstive fauna, our betta did not have any issues with the minimum flow and there was no need to direct the outflow towards the side of the aquarium. The minimum flow of 50 litres per hour was perfect for our 6 litre tank. The cream coloured filter sponge that comes equipped with the Eheim 2006 is of a good quality and it spots a compact grid. Our first contact with it makes us wish that the Eheim Liberty’s default blue sponge was made with this same sponge. 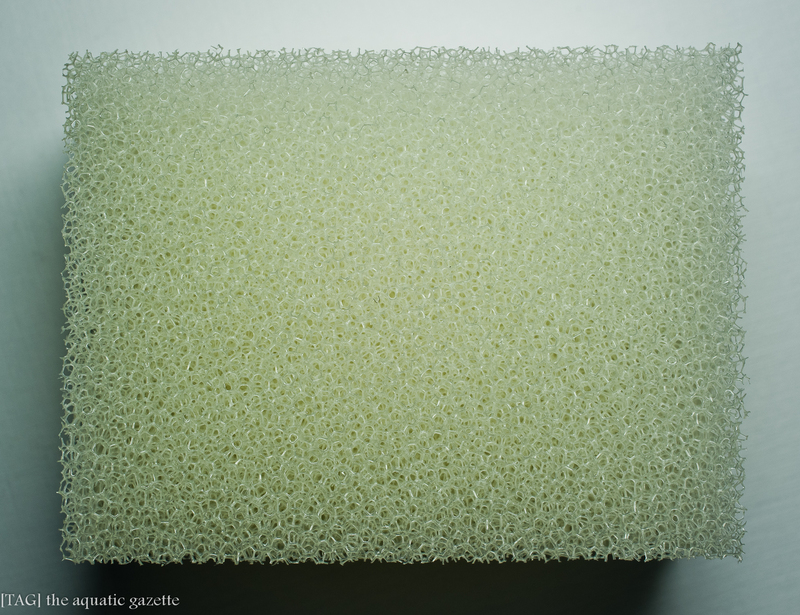 This filter sponge is surprisingly compact in grid and that makes for a good biological media as more space can be found for beneficial bacteria to established itself. 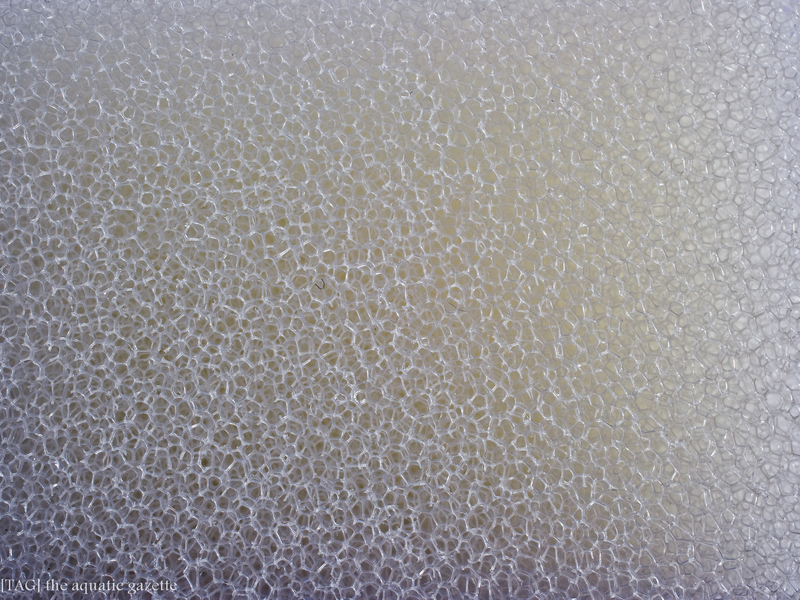 However, the lack of a mechanical filtration media in the Eheim 2006 will mean that a monthly light washing of this sponge is a must, with more frequent washing if your tank has a high biological load. 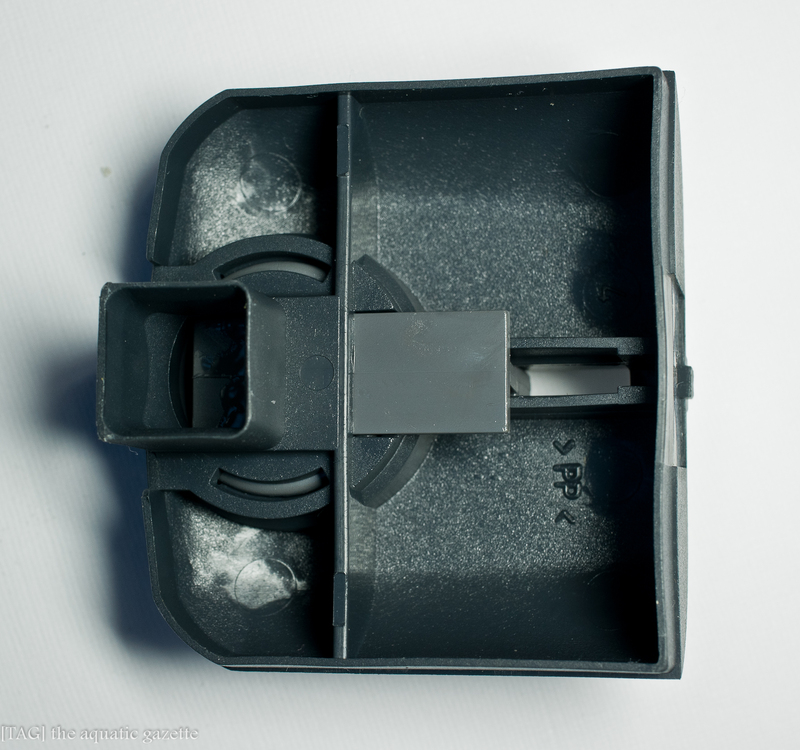 This washing is to prevent excessive detritus from building up on the front surface of the sponge as this will reduce the filter’s effectiveness. 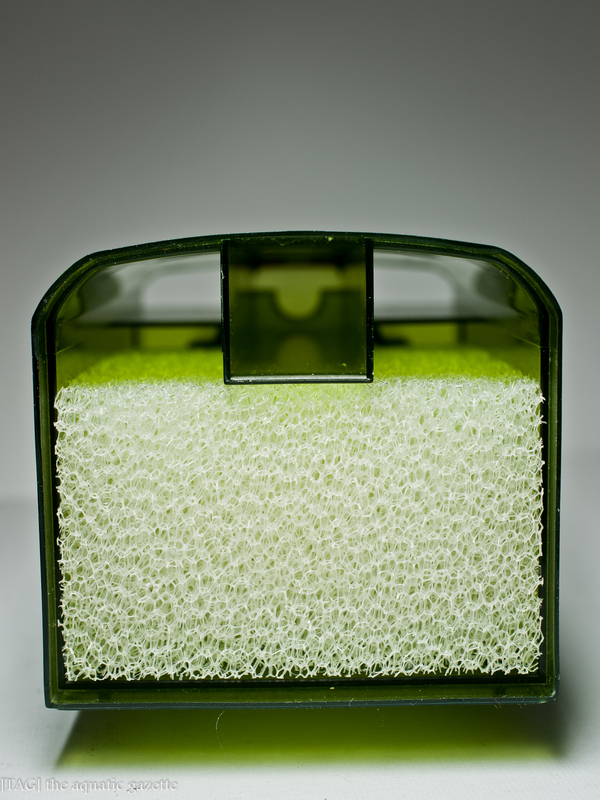 To find out how often the filter sponge needs maintenance, observe the flow rate and when it drops, it will be time to carry out a washing. Besides watching the flow rate, the clear body of the filter also allows a visual check on the detritus build up on the filter sponge. If you observe a thick build up, it may be also time to perform wash. Besides the excellently designed filter head, the compact and good quality filter sponge, the diminutive size of the Eheim 2006 is its greatest strength. In our 6 litres betta tank, the filter is well hidden by some Java fern and never once seem to be too big for it. 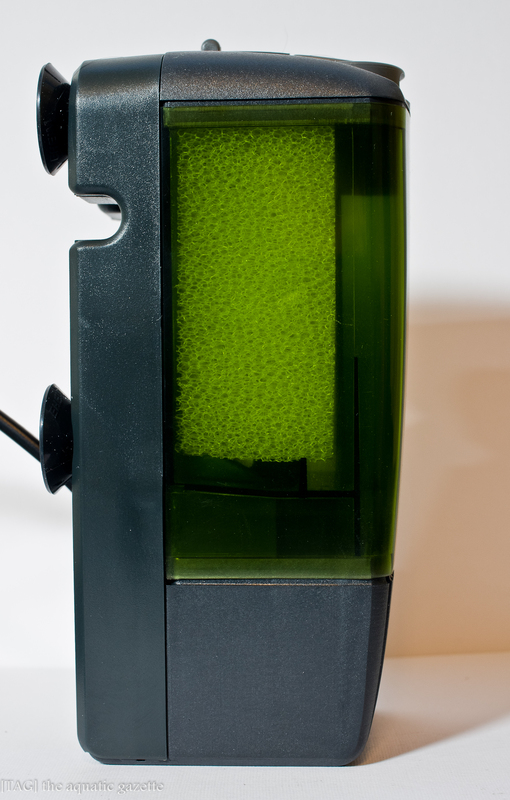 Unlike another of Eheim’s internal filter, the Aqua Ball, we prefer the rectangular frame of the Eheim 2006 as it blends better into the corner of the aquarium and it can be easily maintained with its ‘pick up’ ability. 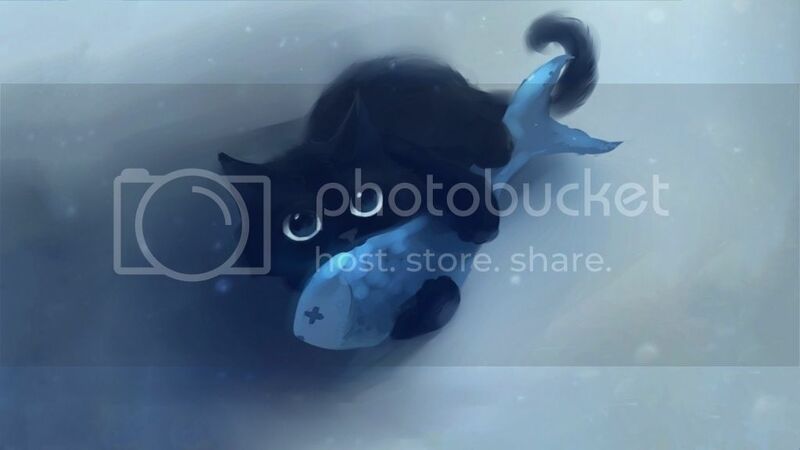 At this point of writing, Eheim is no longer sending new stocks of the Eheim 2006 into Singapore, what is sold in the local fish shops are from existing inventory. We do not have any idea if Eheim intends to restart production of the Eheim 2006, but we hope they will, as they did for the Eheim Classic 2211. It will be a shame if the Eheim 2006 is allowed to fade away as there is nothing in the market that is its replacement for being a small filter of such quality. 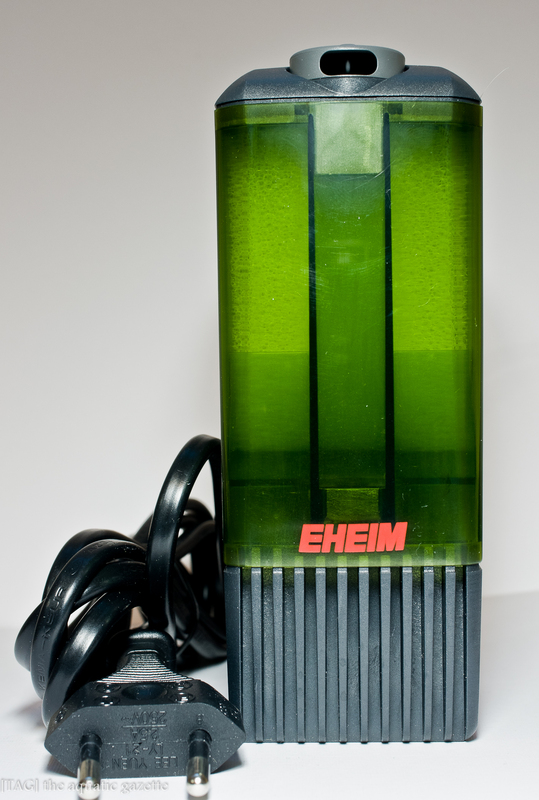 For all nano tank owners who want an internal filter, we highly recommend the Eheim 2006, in fact, we are going to stock up some just for our nano tanks which we will be featuring some time in the future.